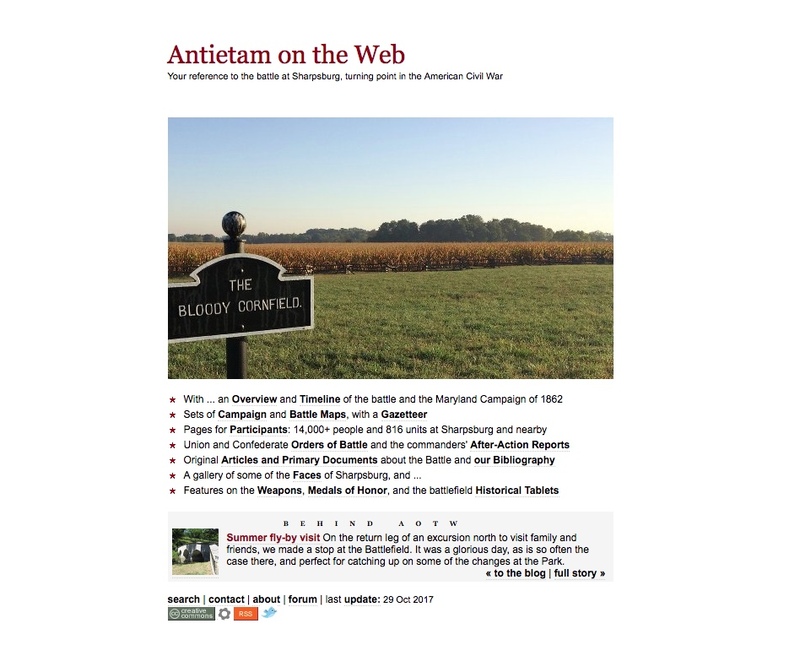 Antietam on the Web was a bit overdue for an overhaul: some of the PHP code had been deprecated (gone obsolete), much of the HTML was clumsy and likewise obsolete, and the site navigation didn’t make it easy to find the information on the site. Most of the navigation dated from 2005, and even the newest PHP and HTML code was last updated in 2010. 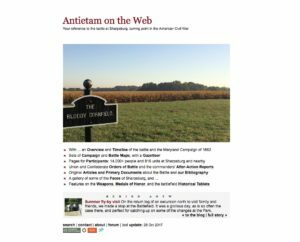 So I re-wrote and re-organized the whole thing. 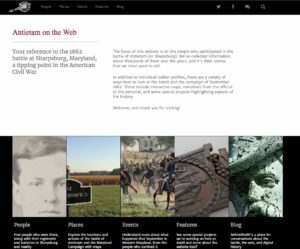 The content is now gathered into big clusters for people (soldiers & units), places (maps), events (narrative), and features (special projects). I hope you’ll find it easier and more intuitive to use. It’ll certainly run more efficiently and be easier for me to maintain. Here’s a quick visual comparison, new vs. previous home page design. I’d love to hear how it works for you.